Yesterday I completed my fifth sprint triathlon - the first one since turning sixty in March. It was just two years ago that I decided to compete in these events, after many years of fell running. 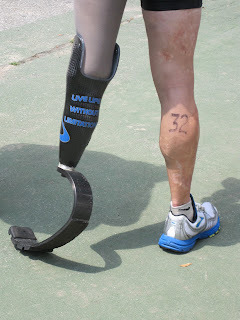 My inspiration was watching the New York Triathlon in Manhattan for three consecutive years. This is an Olympic distance triathlon that starts off with a 1500 metre swim down the Hudson River. Then it's a 40k bike ride with a 10k run to finish off. What has always impressed me is that apart from the elite athletes, the majority of the 3000 strong entrants are "ordinary" folk of all ages and sizes just up for the challenge. There are always, too, a large percentage of competitors with one or more missing limbs who swim, cycle and run along with the rest. I like to think that we are all dwelling in possibilities.